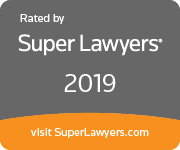 Will Jordan and Rett Saslow have been included in the 2019 Edition of North Carolina Super Lawyers. Will Jordan has been continuously included in North Carolina Super Lawyers since 2007. This is Rett’s first appearance on the list since his original inclusion in 2007. William W. Jordan is a Board Certified Specialist in Family Law by the NC State Board of Legal Specialization. In 2019, he celebrates his 49th year of practice and is a career-long member of the firm. Everett Saslow, Jr. is a Board Certified Specialist in Business and Consumer Bankruptcy Law by the North Carolina State Bar Board of Legal Specialization and a member of the National Association of Bankruptcy Trustees. Rett has been practicing law for more than four decades and is also a career-long member of the firm.